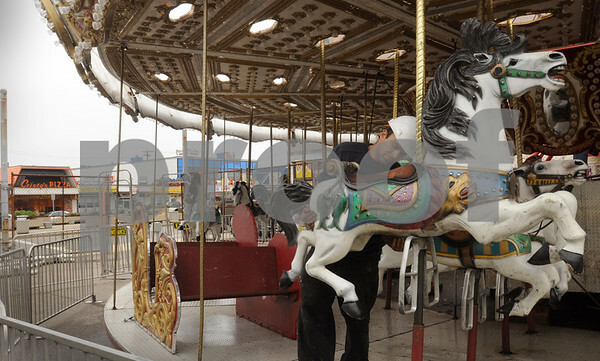 Salisbury: Paul Medbury of Fiesta Shows tightens the horses on the carousel which is set up at the site of the former Pirate's Fun Park at Salisbury Beach. That ride, along with the Dodgem's, are on hand for youngsters at the weekend's Sand and Sea Festival. Bryan Eaton/Staff Photo Thursday June 25, 2009.